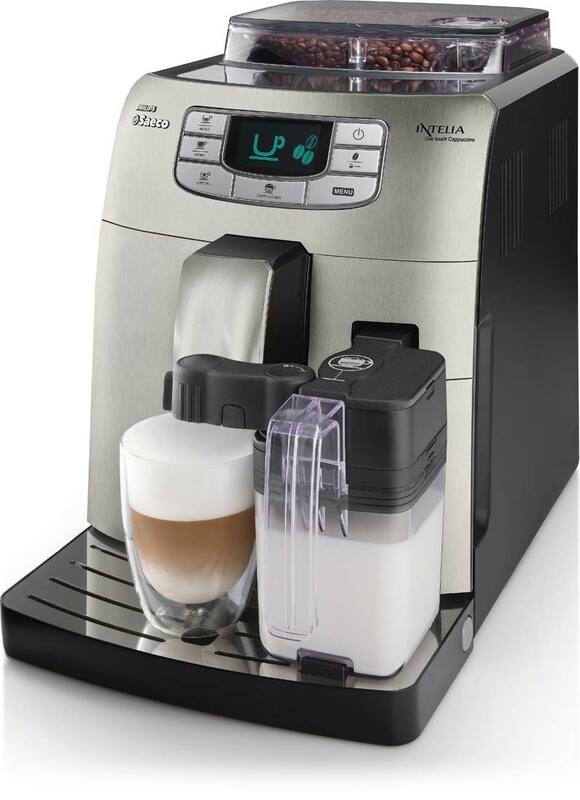 SAECO Philips Intellia Review - Good Drinks. Big Price. 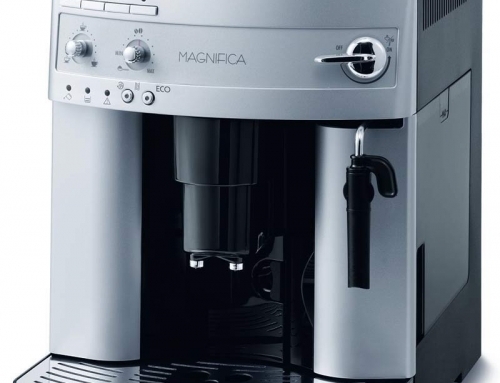 I knew you could get espresso machines for personal use that go up into the $700 range and sometimes up to the $800 range. 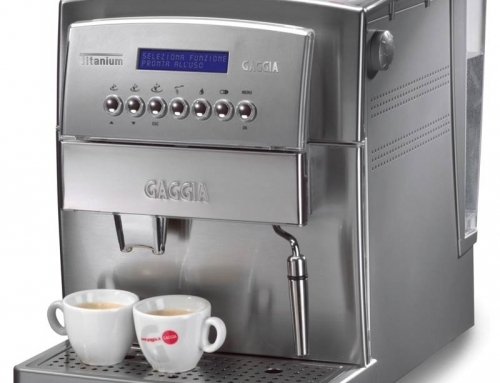 Spending that much money on an espresso machine used to seem ridiculous to me, but I have seriously considered it after seeing what some of them can do. There are some majorly impressive and powerful machines on the market, and I assumed the $700-$800 price range had to be the top of the line. Imagine my surprise when I found a machine that came up even higher than the super powered fantastic ones I had already found. 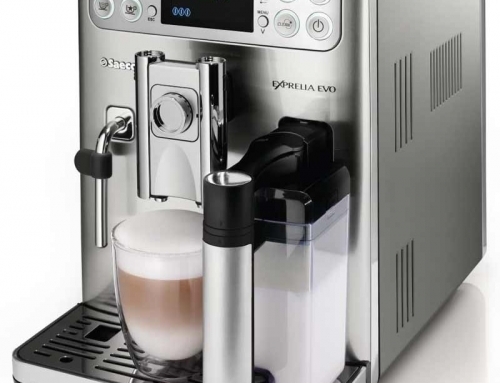 The SAECO Philips Intellia Fully Automatic Espresso Machine hits the market at more than a whopping $1,000. That’s by no means pocket change for most people, and it’s almost as much as some commercial machines. If you’re in the market for top of the line and you’re not scared to pay for it, you’re in the right place. A lot of machines claim to have one touch operation. What that usually means is you can hit a button you’ve already programmed to get espresso, and then you make the milk that goes on top of the espresso. That’s not what Intellia means when they say it. When they say one touch, they mean it. When you’re ready for your cappuccino, you hit the one touch button, and it gets the espresso made while getting the milk you filled the carafe with all frothed up. From there, it pours in the espresso first and then follows it up quickly with the milk it frothed up for you. You literally do nothing but stand there and watch, or go about your business while your coffee is being made. That would make a huge difference for my mornings. 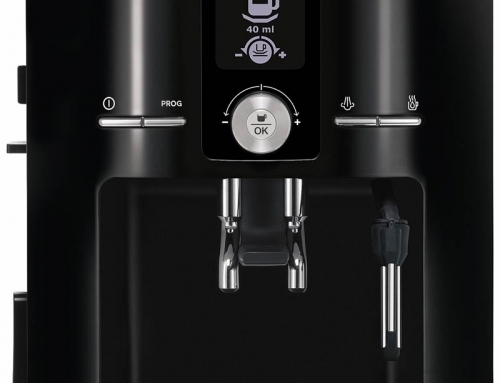 This super high end machine lets you decide just about everything regarding how your drinks are made including the strength of the brew, the heat that gets used, the intensity of the tasty foam, etc. Those are like magic words to my soul. I really like that I could make my morning drinks without much effort, get them in my cup and ready to go, and then hit the road after hitting a single button that gets the machine cleaned and ready to go all on its own. And I don’t have time to scrub down my espresso machine every other day, so if the machine will do the work for me, I will gladly pay a little extra. A little. I’m not entirely sure it’s worth another $500 out of my budget, though. Grinder On Board. Don’t Miss A Beat. Like the rest of the fully automated options, you get the burr grinder on board that does most of the work. All you have to do is tell it how fine your want your grind, and then let it do its magic, which includes transferring the newly ground coffee to the brewing location. Not only that, but the ceramic grinder doesn’t rob your coffee of any flavor, which some other materials can do. You preserve everything, including your time, with this high end option. Oh, and even better than all of that, the grinder isn’t terribly loud. It still makes some noise, but it’s way quieter than some other options. You won’t have to do the regular cleaning you have to do with a lot of the lower end espresso machines, but cleaning it up well when you get the chance can be the key to longevity for any espresso maker. You will have to do a little bit of maintenance to keep the machine running in tip top shape. The coffee grounds can build up a little quicker than anticipated, so you do have to regularly clean out the container. It may be more often than you thought you would need to, but it’s not a terrible way to do things. The frothing handle does not come too high off the base of the machine, so you are limited in the types of cups that will fit under there. I like to fill up a big cup with my fancy drink for my morning trip to work, and I would have to get extra stuff dirty in order to do that. That’s a pretty big drawback for me, but the functionality is convenient enough that I might just be able to make it all work even with the extra dishes to clean up. My husband might murder me if I spent this much on an espresso machine. I mean, I could make a pretty good case for it with everything it can do and how much it will save us, but it would take a long time for it to pay for itself. I am really thinking about it, but that doesn’t mean I will ever convince myself it’s reasonable for my home, even with the amount that I plan to use it.